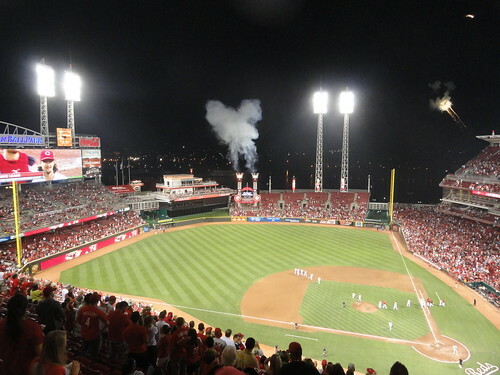 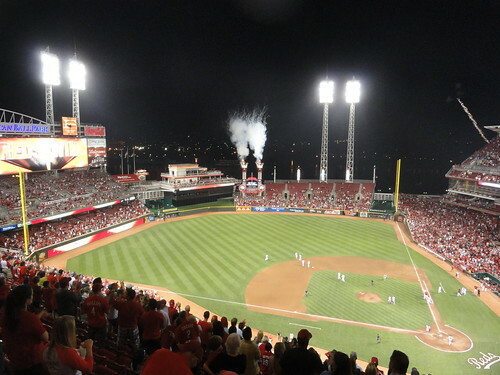 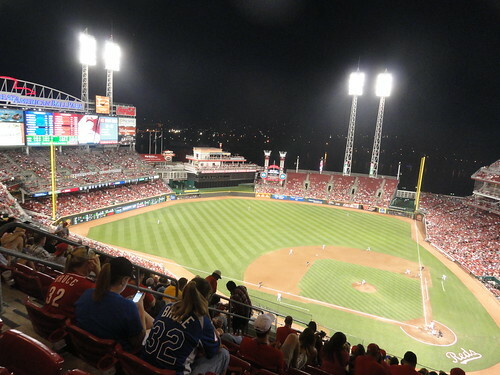 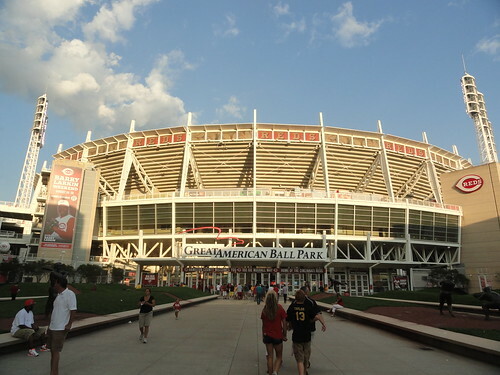 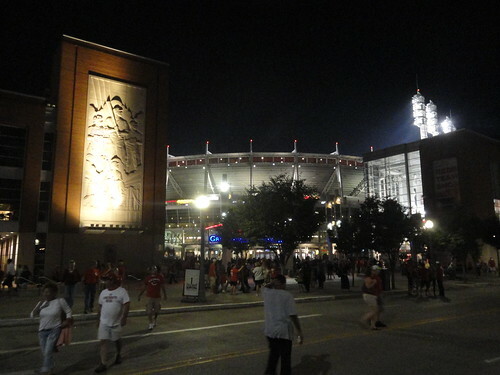 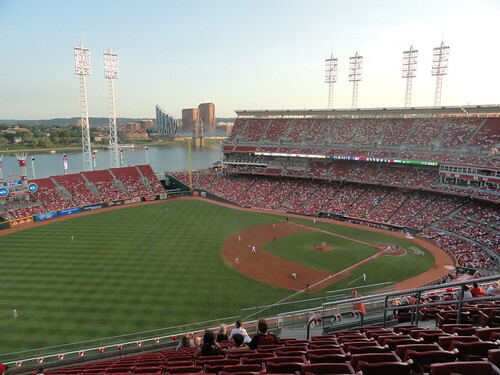 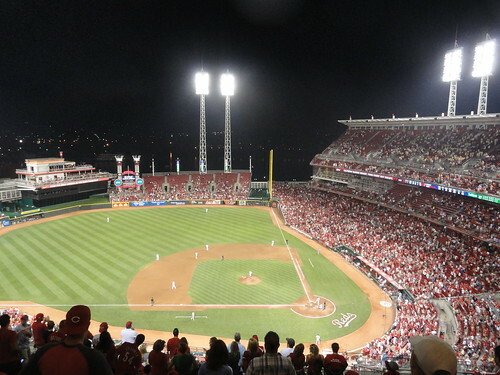 Tonight, we went down to Great American Ball Park to see the Reds take on the Mets. 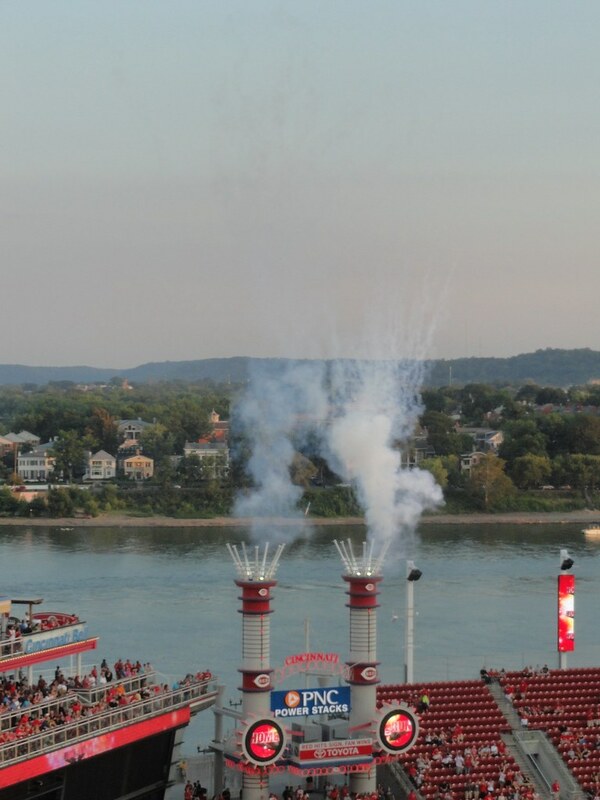 Scott Rolen was back in the lineup and went yard! 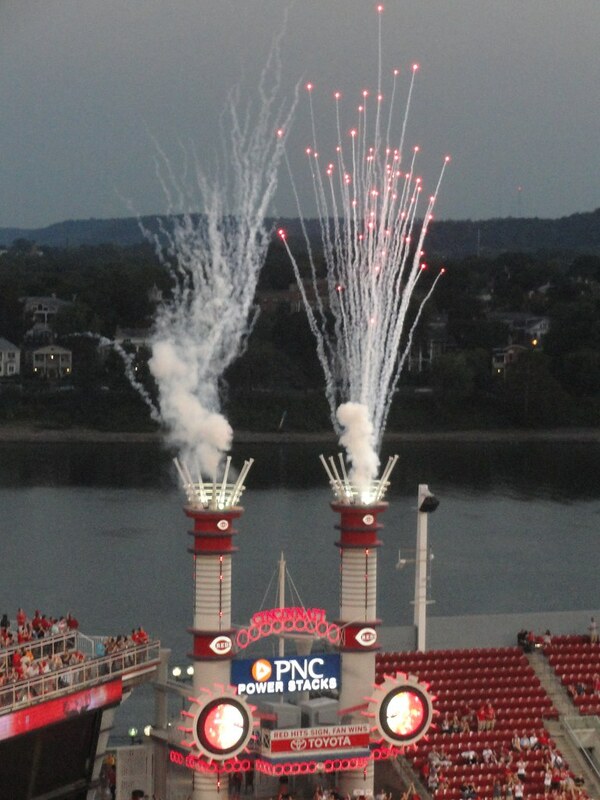 And then Todd Frazier followed suit with a monster blast! 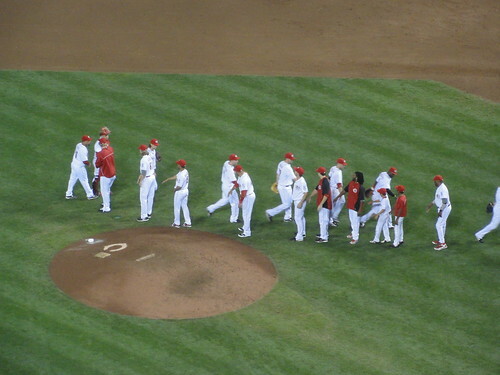 Back-to-back jacks! 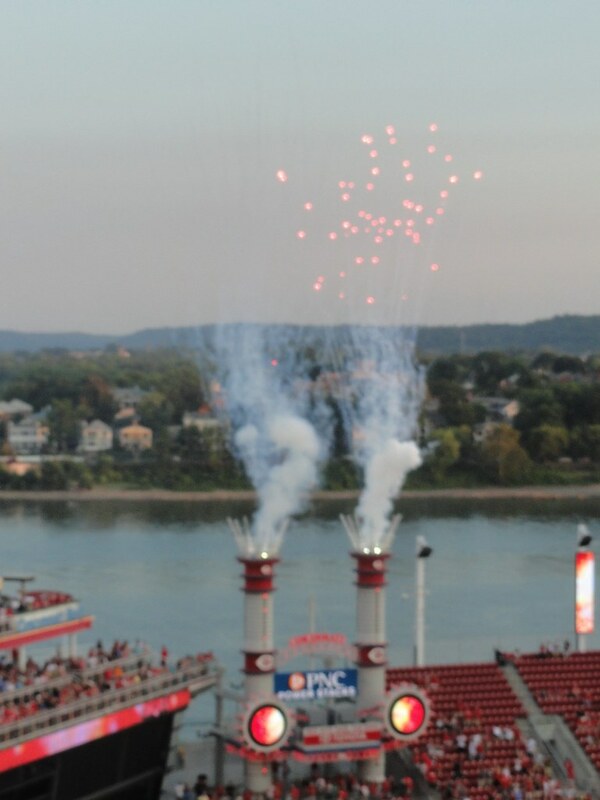 Later, Jay Bruuuuuuuuuuuuuuuuuce put the Reds further in the lead with his solo shot! 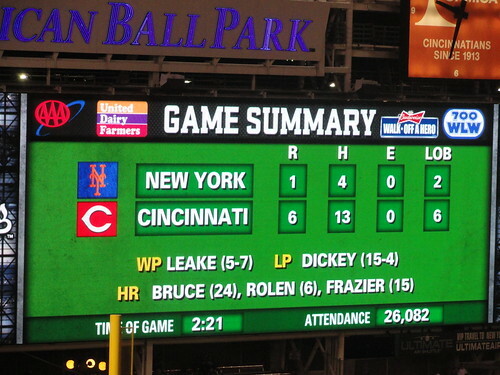 Mike Leake threw a gem tonight, only allowing one run on four hits in the complete game win! 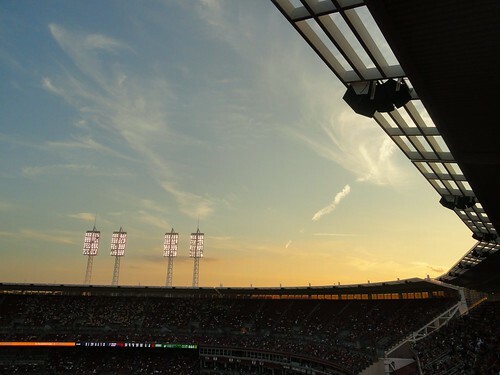 With tonight's win, the Reds have opened up a SEVEN game lead on the Pirates!